I’ve spent a lot of time in multiple states in Mexico, lived there for a year, and have a house in Guanajuato I’ll return to for two years as of next summer. Here are the two books I’d recommend the strongest for anyone interested in lowering their expenses and dialing back the stress level by moving south. Both are new editions released this year. This is a great nuts-and-bolts guide to what you need to know about moving to Mexico. It’s heavy on the kind of practical information any future expat is clamoring for: visas, housing, health care, shipping, telecom, transportation, and language. It’s written by Julie Doherty Meade, an American who spent nearly a decade living in Mexico and traveling around the country (she’s now in NYC). Even though I lived in Mexico and own real estate there, I learned some things from this book I didn’t know for the next time around. It’s a thorough guide that does what any good moving abroad book should: answer the questions you do have and then answer the ones you hadn’t even thought of yet. There’s a good array of history and cultural information that will help you understand how the country works, which is essential with a neighbor that’s so close, yet so different. Some will probably complain that the section on where to live leaves out a lot of great areas for expats, but look at a map of Mexico and you’ll understand why. This is a big country with 30-some states, not a small dot like Costa Rica or Belize. So naturally the million or so expatriates have spread out far and wide. She highlights where the majority of them are concentrated. Go there for more people like you, go elsewhere for fewer of them. After all the info presented, there’s a good resources section at the end for more. This book comes in at 488 pages, including some photos, and it’s a great reference for both dreamers and doers. I’ll be pulling it out a few times before I move back and will definitely bring it down across the border for my Mexican home. Follow these links to buy it from Amazon U.S., Amazon Canada, or Amazon UK. The first book listed here is objective, efficient, and to the point. The People’s Guide to Mexico, however, is none of that—and is far more fun to read as a result. I’ve said before that this is my favorite guidebook of all time and this new edition has only reinforced that view. This is a book so filled with a love for Mexico in all its quirks and annoyances that every page sparkles with enjoyable prose. It’s the only guidebook I can think of where I’ve read 50 pages in a stretch because I was enjoying it so much, not because I had any questions I needed answering or had nothing else to read on a bus. The only time I’ve driven a fast car in Mexico, I was passed by a second-class bus traveling at over 80 miles per hour. This wasn’t unusual, nor were the three young men on the rear bumper. The one reading a comic book, however, without holding on, seemed abnormally blasé. You get opinionated, experience-filled lines like that over and over on pulque bars, roadside cantinas, haggling in vegetable markets, and finding a house to rent. Carl Franz and Lorena Hayens put the first one of these out 35 years ago and if they had stopped along the way, we’d say, “They don’t write them like that anymore.” Thankfully we don’t have to because they didn’t stop. This is the 14th edition, with 768 pages of hard-learned lessons and the kind of insight you only get from someone who can speak fluent Spanish in a way that includes all the idioms and street slang unique to Mexico. 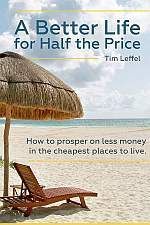 If you have any interest at all in spending real time in Mexico, living there or just getting away from the sheltering resort areas, spend some quality time with this gem of a book. Read it through and you’ll know more about the country than half the people in Ajijic. Get it at Amazon, Amazon Canada, or Amazon UK. Some of that info may already be outdated. The Mexican gov’t just updated rules on various visas and significantly raised financial requirements. Might still be able to swing living on a tourist visa but for those wanting permanent residence deeper pockets will be needed. Wade, please provide a link because everything I’ve read says nothing has been close to implemented and when it does go into effect, will have minimal impact on the current laws. Hi Tim, Not good at links and such, but if you go to Mexico Connect forum, click on Living in Mexico sub-forum, a lot has been posted. New Regs went into effect Nov. 9th, but there is a grace period for current holders to get changed over. Well, here’s a link and again, doesn’t look like much is changing materially. You have to show you can support yourself, but that was already on the books, and now you can stay up to four years on a temporary resident visa, which has got to be one of the most liberal ones in the world. I’d have to go look it up, but under a “residente temporal” the monthly income requirement is now over $1900USD and a “residente permanante” is over $2300. (might not have the spelling right) The upfront fees have almost doubled too. For retirees on just Social Security they’ll either have to live on tourist cards or go home. I noticed your link was dated mid-October. There was much discussion on the two forums I look at but when the regs were officially released Nov. 9th the forums exploded. It’s pretty serious for those who own a home and are living on $1200 a month or less. It’ll sort itself out. There are a million expats living at least part of the year in Mexico, with whole regions depending on the dollars they’re bringing in. Too many powerful people have links to that income to intentionally decrease it. Remember too that what’s official and what happens in practice in Mexico are often very different things. My daughter overstayed her visa by six weeks and nobody blinked an eye upon departure, though officially we should have owed lots of money in fines. 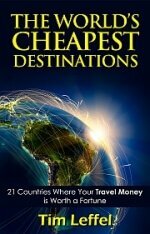 If you are considering living anywhere in Mexico, the most recent info will be on the various Expat forums. Unfortunately most of these so-called tourist guides have outdated information and many of them focus on the baby boomers who still have high pensions and 401ks (which is not many). I’ve lived in Baja for a couple of years and I think it’s best to RENT rather than buy because once you buy something in Mexico it is somewhat difficult to sell if you are a foreigner. Anyway why limit yourself to living one place unless you are a real hermit? Most Americans who are considering a move to Mexico for retirement or whatever else are unaware that the state of Baja is the MOST EXPENSIVE place to live in Mexico. If you’ve spent any amount of time in Baja you will hear Mexicans who have moved there from other states tell you that everything is 25%or more higher than the mainland of Mexico. Nothing grows in Baja (except tomatoes which are not even cheap here) so everything has to be imported into the state so more expensive; and real estate is not cheap here either due to the influx of Californians living here now and working in the U.S. Unfortunately they have driven the price of everything up esp. when you are near the border at Tijuana, Rosarito or Ensenada. True Mary Ellen, and I believe that is conveyed in the books mentioned here—another reason to do the proper research before setting off. That part of Mexico is very expensive. As a tourist in Los Cabos, you can easily spend as much as you would in the U.S. and there are few real estate bargains compared to other parts of the country.